Over 600 guests attended the event that gave wine lovers, wine buffs and those simply wanting to know more about wine an exclusive opportunity to sample the newly awarded gold, silver and bronze medal winning wines. The vast array of wines had been entered by exhibitors from all the major wine producing states in Australia. 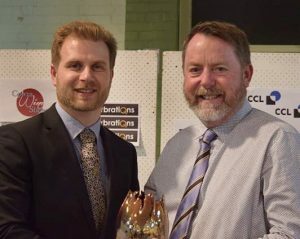 One of the most prestigious awards – The Benedict Trophy for the Best Shiraz was presented by our very own Brett Jarvis. Brett (right) proudly hands over the trophy to Bryan Currie for the Hungerford Hill Epic Shiraz 2017. 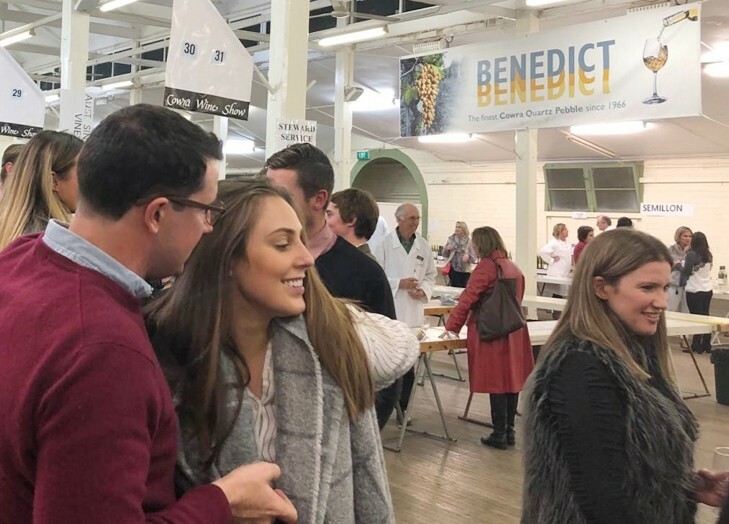 It’s the second time Benedict have partnered with the local Cowra Society to promote the region. In October, we will once again be involved – this time sponsoring the men’s wood-chopping, one of the main attractions at the 2018 Cowra Show.